Jury selection began September 8, 1986, in the federal trial of alleged Mafia Commission members in New York City. The Commission Case was set in motion years earlier by Rudolph Giuliani, U.S. attorney for the Southern District of New York. He reportedly was inspired by a discussion of the Commission in A Man of Honor, the autobiography of longtime Mafia boss Joseph Bonanno. "If he could write about it," Giuliani reasoned, "we could prosecute it." Giuliani was emboldened by recent successes in applying the Racketeer Influenced and Corrupt Organizations (RICO) Act against organized crime leaders. A federal indictment was unsealed February 26, 1985, charging representatives of all five New York City Mafia families with conspiring in the management of the underworld. 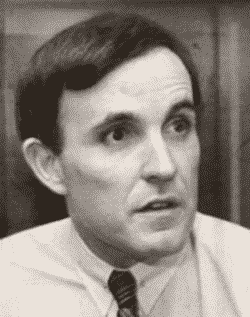 As the fifteen-count indictment was announced, Giuliani commented, "This is a bad day, probably the worst ever, for the Mafia." Much of the case was based on electronic surveillance. The government labeled Rastelli, Langella, Castellano, Salerno and Corallo the bosses of their crime families. Dellacroce and Santoro were said to be underbosses of the Gambino Family and Lucchese Family, respectively. Most of the defendants were arraigned in Manhattan Federal District Court on February 28. Corallo, Dellacroce and Scopo were not present, as they had been hospitalized. All defendants pleaded not guilty (A defense attorney entered the pleas for his clients Dellacroce and Scopo), except Corallo. Corallo attorney Albert Gaudelli stated that his client refused to waive the right to plead in person. Rastelli collapsed during the arraignment and was taken to the hospital for treatment and evaluation. A superseding indictment in June 1985 added two more defendants, Carmine Persico and Stefano Cannone, along with additional charges related to a concrete industry extortion scheme. The government charged Persico with being the reigning boss of the Colombo Crime Family (reducing Langella to Persico's underboss or acting boss). Several defendants died before the trial began. Aniello Dellacroce died of natural causes December 2 in a Queens hospital. Two weeks later, boss Paul Castellano was shot to death in front of a Manhattan restaurant. The death of Stefano Cannone was reported January 12, 1986, (NY Daily News) as a "recent death from natural causes." Cannone's death appears to have occurred months earlier in September of 1985. Philip Rastelli was severed from the case because he was being tried on a separate matter in Brooklyn. Prosecutors added Anthony "Bruno" Indelicato, as a representative of the Bonanno clan. As a trial date for the Commission Case approached, Mafia leaders reportedly considered but ultimately decided against the assassination of Giuliani. (This was not revealed until the fall of 2007.) John Gotti, new boss of the Gambino Family, and Persico reportedly were in favor of murdering the U.S. attorney. The Lucchese, Bonanno and Genovese bosses rejected the notion. 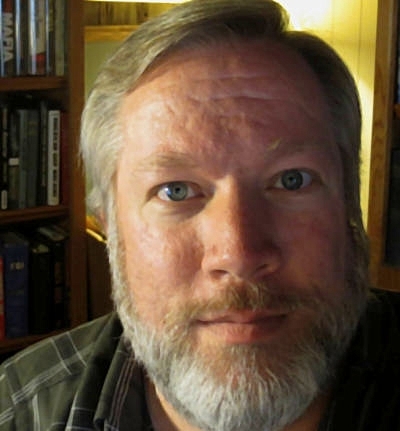 At jury selection before Judge Richard Owen, the names of prospective jurors were kept confidential to ensure that they would not be influenced by threats or bribery. During the selection process, prospective jurors were asked questions about their knowledge of American Mafia history, such as whether they had ever heard of Al Capone. Prosecuting attorneys in the case were Michael Chertoff, John Savarese and John Childers. One defendant, Carmine Persico, elected to serve as his own defense counsel. The trial lasted a month and a half. It included surprising defense admissions that the Mafia and a ruling Commission existed in New York and prosecution testimony from turncoat Cleveland Mafioso Angelo Lonardo (part of his testimony dealt with the 1927 Mafia murder of his father) and undercover FBI agent Joseph Pistone. An effort was made to gain the testimony of Joseph Bonanno, retired in Tucson Arizona. But the 80-year-old Bonanno instead accepted a stay in jail for contempt of court. The jury deliberated for five days. The verdict was returned to a crowded courtroom at 12:20 p.m. on Wednesday, November 19: All defendants were found guilty on all the charges brought against them. 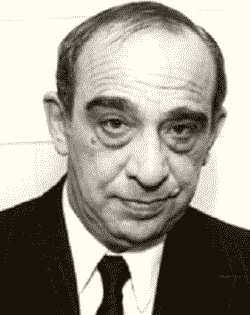 Persico, Salerno and Corallo were convicted as the bosses of the Colombo, Genovese and Lucchese Crime Families. (Sometime later it was learned that Salerno was not the real chief of the Genovese clan but was fronting for boss Vincent "Chin" Gigante.) The case established Langella as Colombo acting boss or underboss, Santoro as Lucchese underboss and Furnari as Lucchese consigliere. All the defendants were convicted of racketeering and racketeering conspiracy. 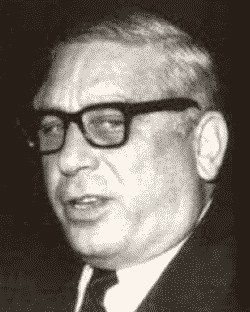 Indelicato was convicted of participating in the 1979 Commission-authorized murder of Carmine Galante. All the defendants but Indelicato were convicted of extortion, extortion conspiracy and labor payoffs. Corallo and Santoro also were convicted of loansharking conspiracy. Judge Owen sentenced the defendants on January 13, 1987. Persico, Salerno, Corallo, Langella, Santoro, Furnari and Scopo were sentenced to a century in prison. Indelicato was sentenced to forty years. Hunt, Thomas, and Michael A. Tona, DiCarlo: Buffalo's First Family of Crime - Vol. II. "11 plead not guilty to ruling organized crime in New York," New York Times, July 2, 1985. "In brief: Mafia bosses are sentenced to centuries," New York Times, Jan. 18, 1987. "Crime families facing trial for 'Mafia' acts," Binghamton NY Evening Press, June 27, 1985, p. 3E. "Prosecutor: Indictments could help break up the mob," Ithaca NY Journal, Feb. 27, 1985, p. 2. "Rhinebeck man charged as mob boss," Poughkeepsie NY Journal, Feb. 27, 1985, p. 1. Blumenthal, Ralph, "Aniello Dellacroce dies at 71; reputed crime-group figure," New York Times, Dec. 4, 1985. Bonanno, Joseph, with Sergio Lalli, A Man of Honor: The Autobiography of Joseph Bonanno, New York: Simon & Schuster, 1983, p. 141, 159-160. Doyle, John M., "Eight mobsters convicted of all counts in Mafia Commission trial," AP News Archive, Nov. 19, 1986. Elkin, Larry, "Government launches case against 'Mob Commission,'" AP News Archive, Sept. 18, 1986. Hornblower, Margot, "Mafia 'Commission' trial begins in New York," Washington Post, Sept. 19, 1986. Irwin, Victoria, "Mafia goes on trial," Christian Science Monitor, Sept. 10, 1986. Irwin, Victoria, "New York arrests launch major Mafia sweep," Christian Science Monitor, March 1, 1985. Jacobs, James B., with Christopher Panarella and Jay Worthington, Busting the Mob: United States v. Cosa Nostra, New York: New York University Press, 1994, p. 79-87. Lubasch, Arnold H., "Bonanno jailed after refusing to be witness," New York Times, Sept. 6, 1985. Lubasch, Arnold H., "Judge requires that Bonanno gives testimony," New York Times, Sept. 5, 1985. Lubasch, Arnold H., "Judge sentences 8 Mafia leaders to prison terms," New York Times, Jan. 14, 1987. Lubasch, Arnold H., "Jury strips 2 concrete racketeers of their assets," New York Times, May 13, 1988. Lubasch, Arnold H., "Reputed crime bosses arraigned," New York Times, March 1, 1985. 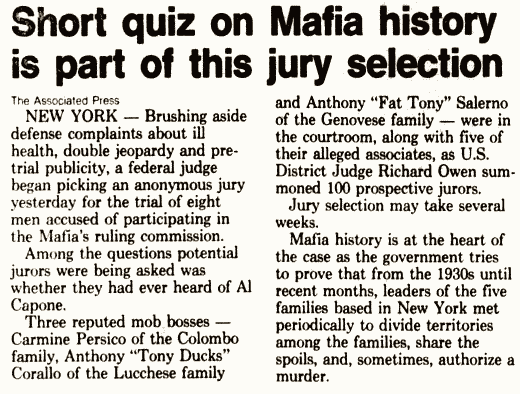 Lubasch, Arnold H., "U.S. jury convicts eight as members of mob Commission," New York Times, Nov. 20, 1986, p. 1. Magnuson, Ed, "Hitting the Mafia," TIME, Sept. 29, 1986. McFadden, Robert D., "Organized-crime chief shot dead stepping from car on E.46th St.," New York Times, Dec. 17, 1985. Meskil, Paul, "Mob figure makes bail," New York Daily News, Jan. 12, 1986, p. 17. O'Shaughnessy, Patrice, and Joseph McNamara, "Round 1 of feds v. 'iron fist,'" New York Daily News, Sept. 19, 1986, p. 7. Senate Permanent Subcommittee on Investigations, Vincent Cafaro testimony, Organized Crime: 25 Years After Valachi, Hearings before the Permanent Subcommittee on Investigations of the Committee on Governmental Affairs, U.S. Senate, 100th Congress, 2d Session, Washington, D.C.: U.S. Government Printing Office, 1988, p. 232, 868-870. Shifrel, Scott, and Helen Kennedy, "Court told mob bosses voted on whacking Giuliani in '86," New York Daily News, Oct. 25, 2007. Winerip, Michael, "High-profile prosecutor," New York Times, June 9, 1985. U.S. Social Security Death Index, ancestry.com. New York's Gambino Crime Family was fractured with the death by natural causes of underboss Aniello "Neil" Dellacroce on this date in 1985. The seventy-one-year-old Dellacroce succumbed to cancer late on December 2 at Mary Immaculate Hospital in Queens, New York. He had been scheduled to go on trial in Manhattan the following year as a defendant in the Mafia Commission Case. He also faced federal racketeering and tax evasion charges. Chicago Tribune, Dec. 4, 1985. Following Dellacroce's death, his protege John J. Gotti organized the December 14, 1985, assassination of crime family boss Paul Castellano. Gotti assumed control of the crime family. The organization had been an incomplete blending of Sicilian and non-Sicilian factions for decades, with intra-family violence flaring up from time to time. 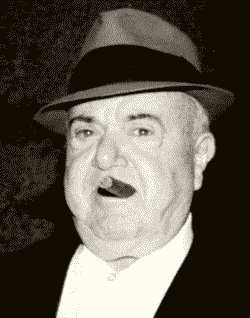 Albert Anastasia, leader of mainland Italians in the organization, rose to power by deposing Sicilian boss Vincent Mangano in 1951. Carlo Gambino, head of the Sicilian Gambino-Castellano group, is believed to have conspired in the 1957 assassination of Anastasia. Orderly succession within the organization is believed to have been on the agenda of the 1957 Apalachin, New York, Mafia convention, broken up by the appearance of law enforcement officers. Gambino's rise to boss was contested by Armand Thomas Rava. Some arrangement within the family appears to have been reached following the disappearance of Rava. Dellacroce stepped into Rava's role as opposition faction leader, and Gambino designated him as family underboss. Dellacroce made his headquarters the Ravenite Social Club, located on Manhattan's Mulberry Street in the area where Dellacroce was raised. Apparently believing that its leader was next in line to become boss, the Dellacroce faction was up in arms when Paul Castellano took over following the 1976 death of Gambino. Dellacroce reportedly kept the peace by ordering his followers to take no action against Castellano. Gotti decided that Dellacroce's death canceled the prohibition against violence.